Nicholas Ballas — Living Juicy! Nicholas Ballas has been an important actor and director in Santa Fe since the Eighties, appearing with New Mexico Rep, Shakespeare in Santa Fe, and Mother Road in Albuquerque. 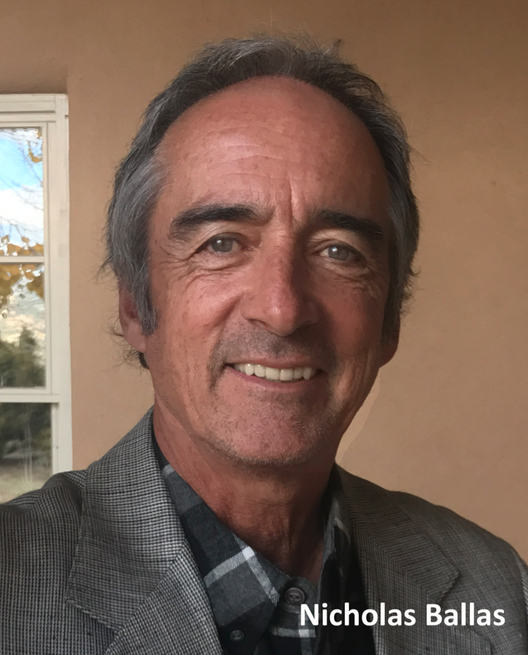 In the mid-Eighties, he founded the New Mexico Actor’s Theater, producing many playsranging from Sam Shepard to Shakespeare, directing and acting, and teaching acting classes. In this interview, Ballas reminisces about his acquaintance with Sam Shepard, about his connection to the Santa Fe Actor’s Lab, which he acts and directs with. He also talks about Robert Benedetti, this mentor and the founder of the NMAL.